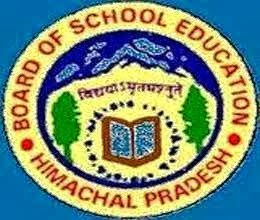 4 Oct Update: Himachal Pradesh Board of School Education Dharamshala (HP Education Board) issued the answer keys to download for the HP TGT TET 2013 Exam held on 29 September, 2013 which is now available on the official website of education board – http://www.hpbose.org. All the candidates appeared in the Teacher Eligibility Test TET 2013 for TGT Arts organized by the school education board of Himachal Pradesh can Download TGT Arts TET Exam 2013 Answer Keys from the direct link given below. It is also notify to all the candidates that they can submit their request to modify the answers given in the answer sheet if they found any mistake or correction, and submit their suggestion to the board office along with the copy of the book (proof), data etc. to verify the suggestion given by the candidate on or before the 11 October, 2013. Candidates also send their objections or suggestion to following email id- hpbose2011@gmail.com or hpbosesecretary@gmail.com. After 11.10.13, education board would not considered any objection regarding the answer sheets.